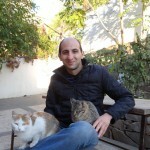 You are at:Home»WHAT'S NEW»SOCIETY»Educational Travels: How to Handle Information Isolation in Armenia? The official data says that 3,100 people with hearing loss live in Armenia. It should be noted that there is a significant difference between the data above and the official data: the number of people with different hearing loss is over 16,000. One of the tasks is to make the data accurate: such data should be broken down according to the type of disability, origin, age, gender, and other relevant features. It’s high time to get together and voice our concern so that we can solve the global issues we are concerned with, irrespective of the type of hearing and communication needs. Like any person with a disability, we also face obstacles related to education, employment and, last but not least, information access. We live in a social reality where inequality is a commonplace. We either try to overcome the obstacles by ourselves or marginalize ourselves from conversing social groups, staying away from society. We are definitely capable to live independently as we are independent citizens with the right to get education and work and lead a full-scale and decent life. I have always loved to travel, especially for educational purposes. I took part in different courses many times both in Armenia and Europe. Such travels motivate and have inspired me to search for new ways so that people with hearing loss feel fully-fledged citizens in Armenia as well. Supported by the EU Delegation to Armenia, in the summer of 2018, I joined the Youth Summer Camp in the Netherlands for the first time in my life. 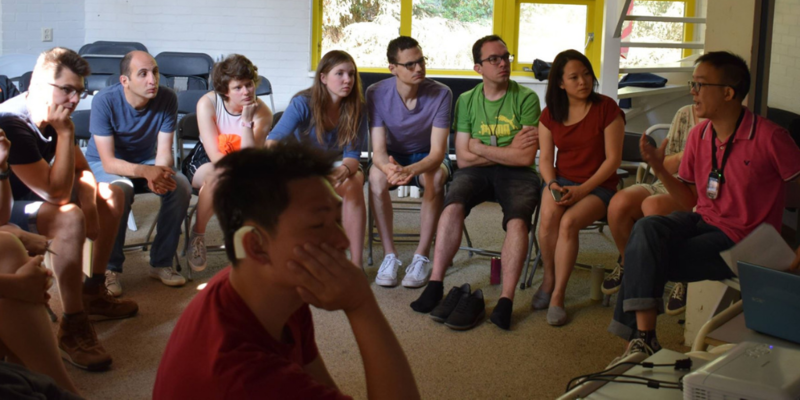 The camp — organized by the Dutch Youth Hard of Hearing Association (SH-Jong) — was held in Veldhoven, in the lap of nature of a cozy and fairy-like town. 44 hard of hearing young people from 17 countries, such as North America, Europe, and Asia, joined the camp. This one was also an interesting experience, during which we made friends, communicated verbally within mixed groups through various logical and active games, which, in its turn, improved the participants’ knowledge of English. Access to information and communication was fully supported by British speech to text interpreters. I highly appreciate similar exchange programs where addressability, consideration, recommendations and possible solutions to problems greatly impact an accurate assessment of the situation, improvement of one’s own potential and self-esteem, and skills improvement. After the days spent in the camp, I had several meetings with different Dutch organizations engaged in the speech to text technology. I visited the offices of Tolknet and Velotype, where I spoke on our problems and provided an insight into our prospects. Tolknet is a non-profit organization under the state support and is engaged in resolving the issues of sign language and speech to text interpretation. It also provides service and consultancy. With the support of Wim Gerbecks — the inventor of the Velotype keyboard in the Netherlands and Europe — I made myself familiar with the keyboard and successfully tested it. We considered the issue of implementation of the keyboard in Armenian. Searching for frequently used words in Armenian — which is a precondition for writing interpretation in the native language — is the problem we face today. In this way, any event, be it a conference, a seminar, a course or telecommunication, will become accessible for people with hearing loss. It is worth mentioning that the Dutch law requires that public and private TV programs in the Netherlands have to be subtitled.